A permit is needed to build accessory buildings. Accessory buildings include sheds, gazebos, detached garages, and more. Where can my building be located on my property? For most properties, an accessory building must be located 35 feet from the side and rear property line and 75 ft. from the front property line. However, if your home is part of a subdivision that has a Homeowners Association; the permitted location may vary. Check with your Homeowners Association about your desired building location. Complete the Building Permit Application (signed by homeowner). Bring in three (3) copies of a plats of survey indicating the proposed location and size of the building, and distance from all building setback lines and lot lines to the building. 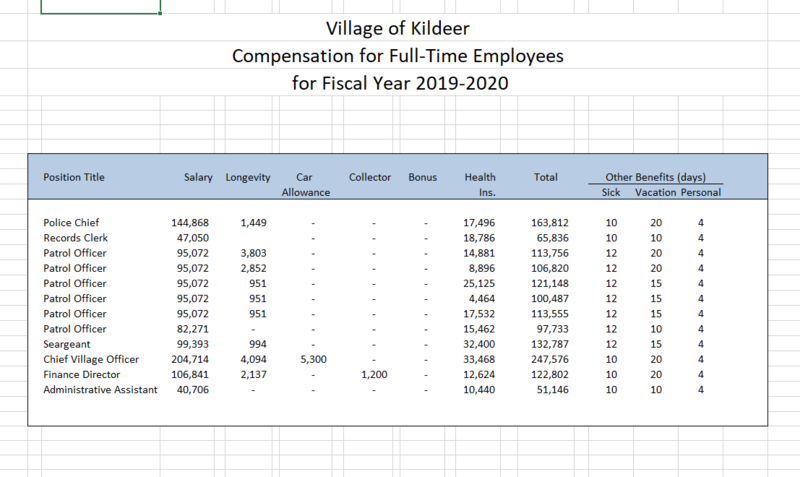 Send electronic version (PDF) of large format plans via email to alitzhoff@villageofkildeer.com . Submit three (3) building plan sets drawn to scale including elevations, details of building construction such as size, material selection, and colors. The Village’s Architecture Review Committee meets on an as needed to review new construction projects. The Committee will need to review the accessory building prior to issuing your permit. Bring a $100 Permit Processing Fee check or cash. The $100 will go towards your permit fee. If your property is on a septic system, the building location must be approved by the Lake County Health Department through a property alteration request. The approved request must be submitted to the Building Department prior to issuing a building permit. The size of the footing/foundation – if applicable. Indicate the sill plate shall be treated or other decay resistant lumber. Indicate the size of the studs and their spacing. Indicate a double top plate. The type of wind bracing to be installed shall be indicated along with the type of wall sheathing. Indicate the type of siding to be installed and the vapor barrier to be used. Indicate the size and spacing of the ceiling joists/collar ties to be installed. Indicate the size and spacing of the roof rafters or trusses, the size of the ridge and the size of the hip rafters if applicable. Indicate the thickness and type of roof sheathing. Indicate the type and weight of the roof shingles. The type and size of the conductors within the underground raceway to outlets and switches. The location(s) of all outlets and switches. All electrical wiring shall be installed in Metal Pipe within building and exposed exterior of building to 6” below grade. Below grade schedule 80 PVC rigid non-metallic conduit is approved). Indicate new circuits shall be added to the existing panel board and the size of the overcurrent protection. Your application will be reviewed for compliance with building and zoning regulations. If your project complies with all the applicable codes and ordinances, you should receive your building permit in about 10-20 business days from the date of the application. The plan reviewer may need additional information and/or revised plans that could lengthen that turn around time. After the permit is issued, the project is inspected at various stages of construction. Required Inspections will depend on the type of building. A list of required inspections will be provided with permit approval. Have the permit number and address ready. Call (847) 438-6000 before 3:00 p.m. Monday-Friday to schedule an inspection. Call at least 24 hours in advance. You can request an AM (9am-12pm) inspection or a PM (12pm-3pm) inspection, Monday thru Friday. If the inspector needs to return more than once for a failed inspection(s), a $100.00 re-inspection fee is required to be paid before re-inspection.